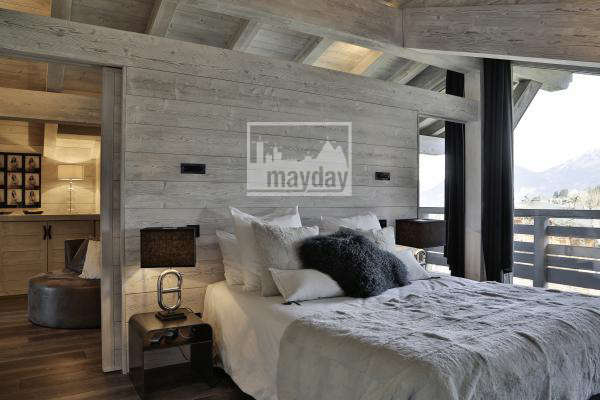 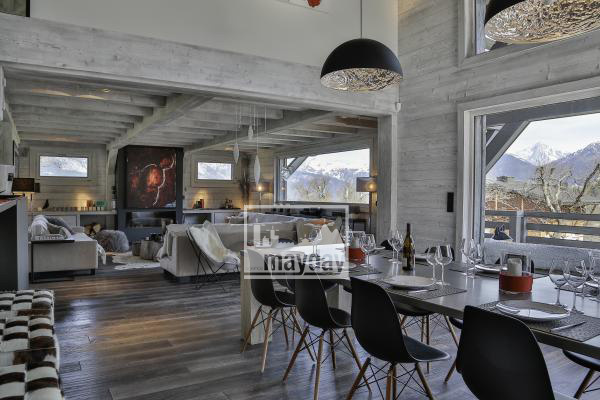 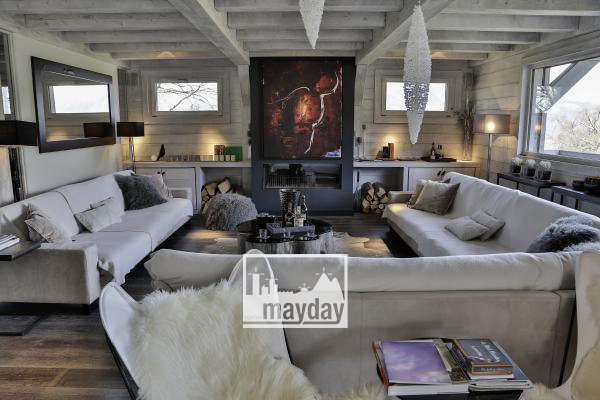 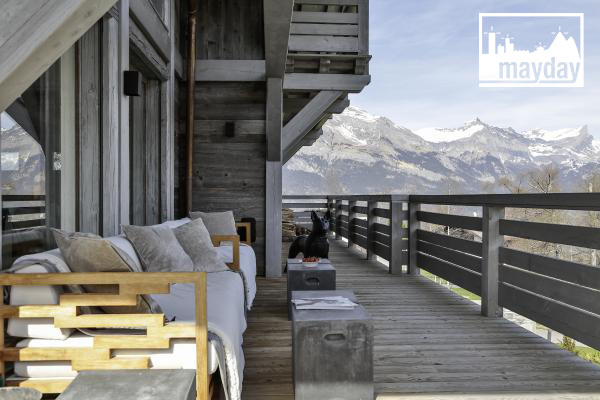 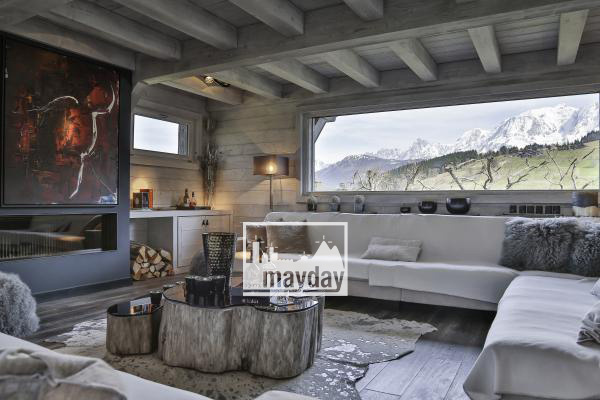 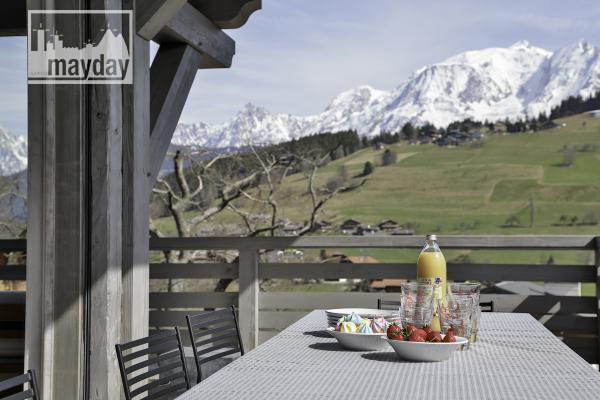 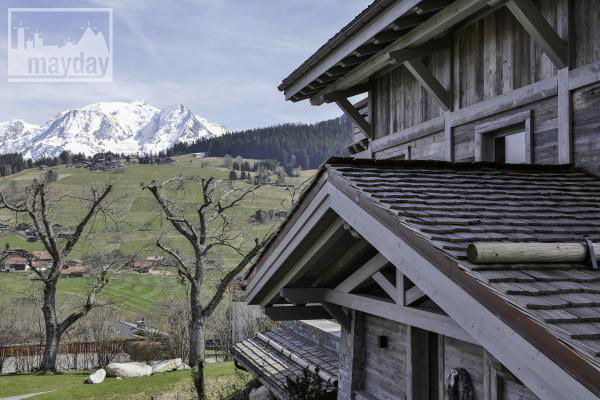 White chalet “the view”, Mont-Blanc (clav1003) | Agence Mayday, scouting agency | Best location for your project concerning : feature films, TV, commercials, promos, photo shoot & events. 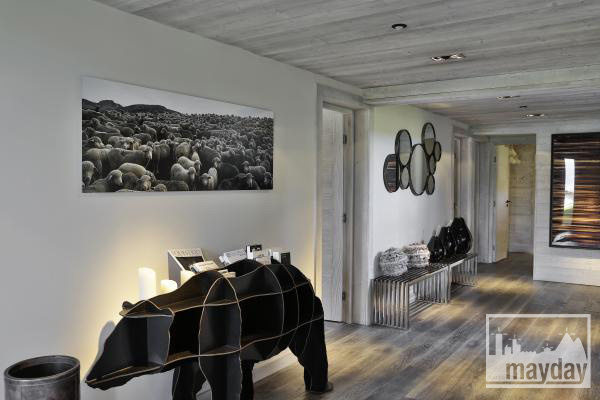 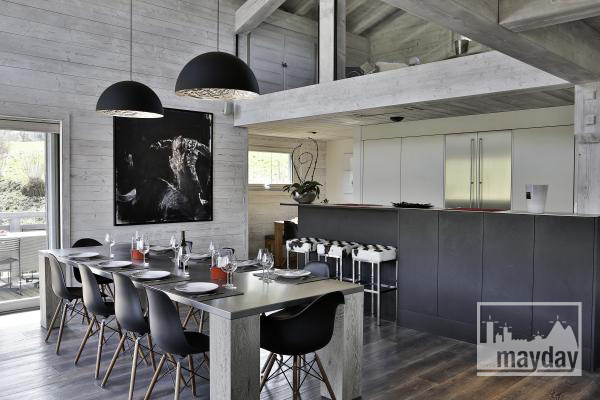 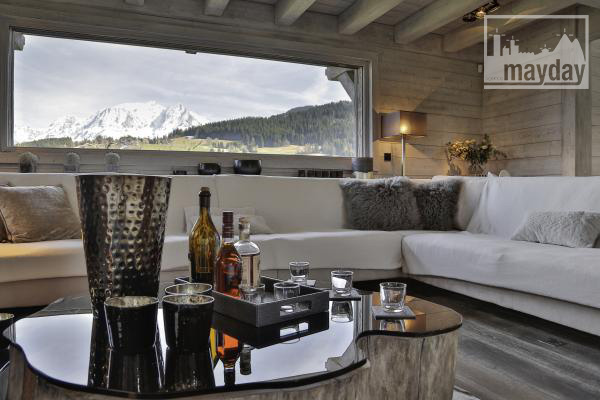 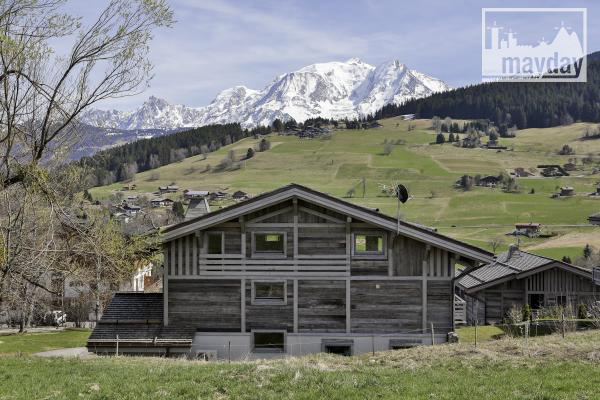 Modern & warm chalet with an astoning view over the Mont-Blanc massif. 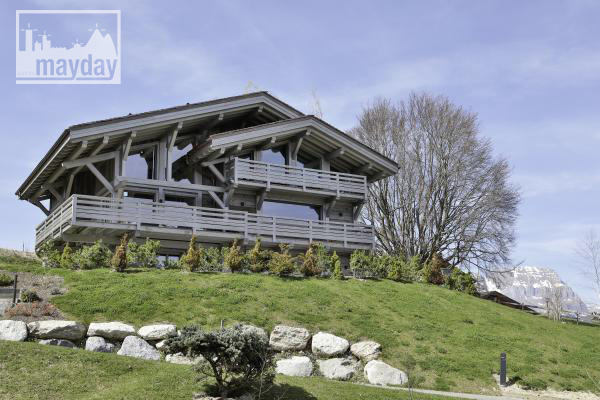 Uncluttered style and sophisticated equipment : personal training center, terraces, luxurious wine cellar. 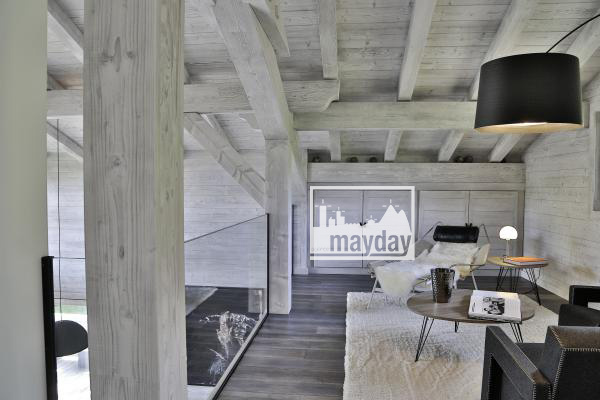 450 sqm area over 4 floors. 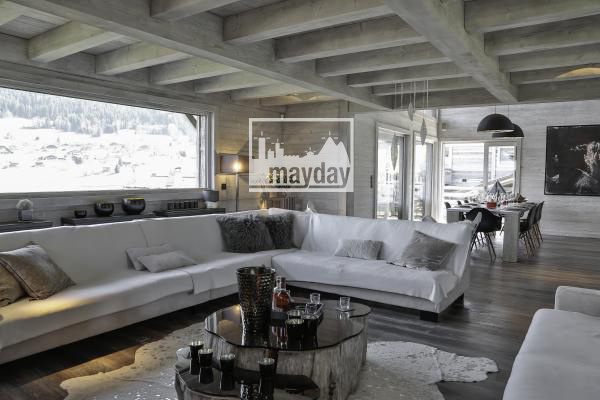 Large main room with open kitchen, living room and massive chimney, dining room, 5 suites bedrooms and a mezzanine. 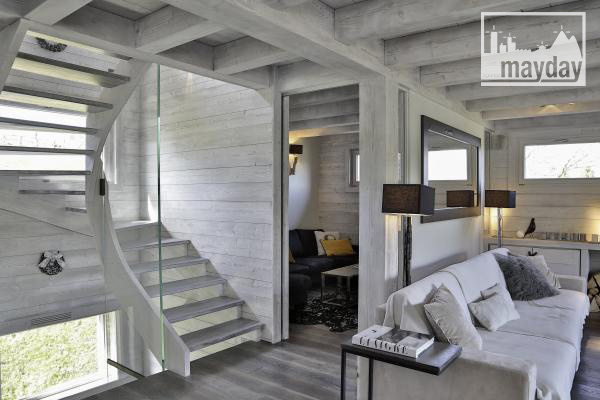 The brightness of the main room is outlined by the numerous «painting» sized bow windows and a glass staircase.